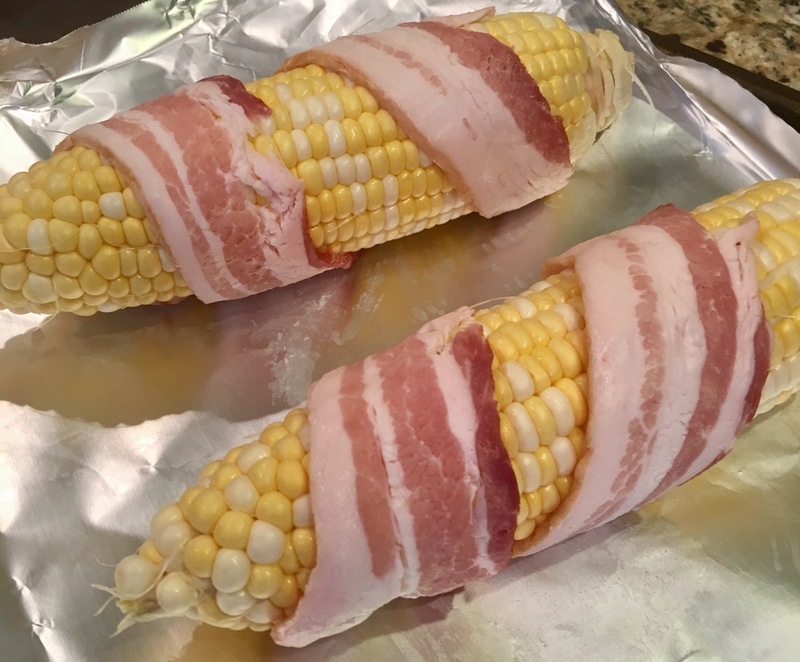 Fresh Corn and Bacon! – Eat, Drink, and Go! 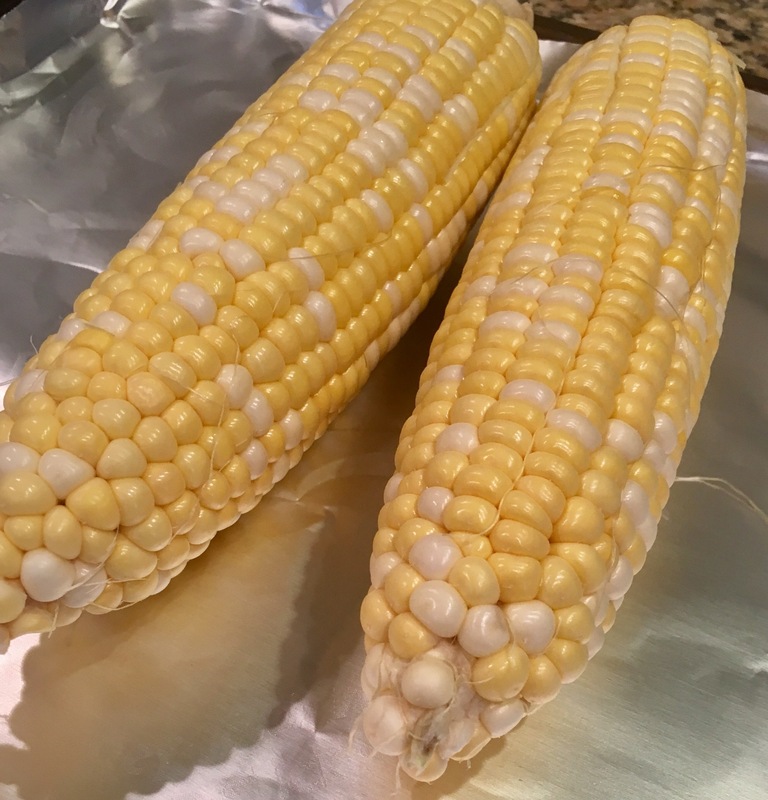 I love fresh corn and it’s about that time of year for it to start getting plentiful in the grocery stores. I prefer grilling it, but I was trying something new last night that I thought would work better in the oven. It didn’t, but I think I know how it will, and so this is just a prelude to getting it right. In other words, great concept, failed execution. But I shall carry on! 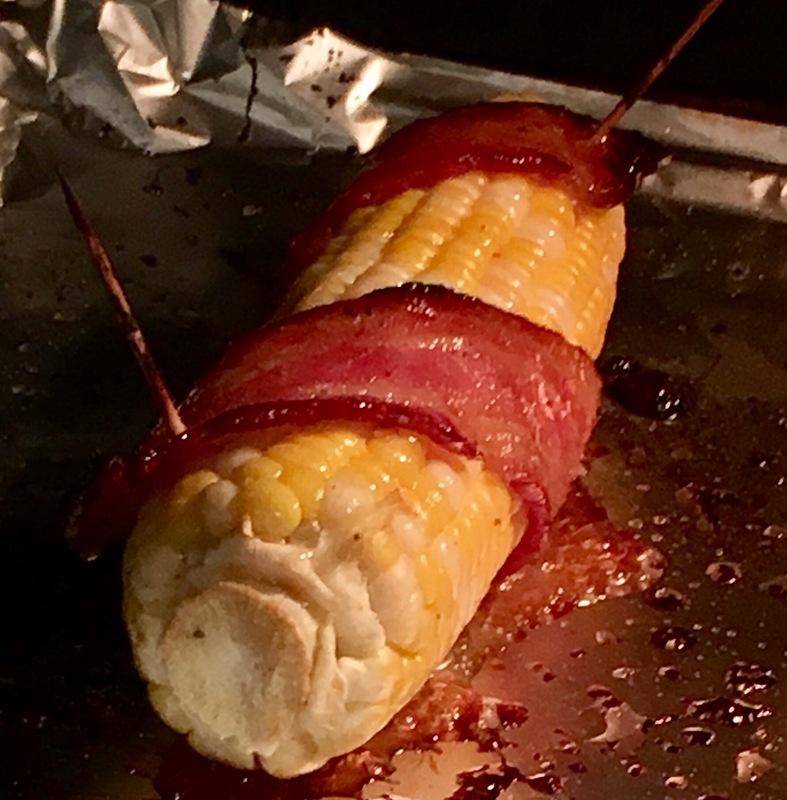 I endeavored to make bacon-wrapped corn on the cob. I know, sounds amazing right? I think I can sum up the troubles in two words: too thick!! We usually have the thick cut bacon at home for weekend breakfasts, but I realized this wasn’t the right kind of bacon for this project. 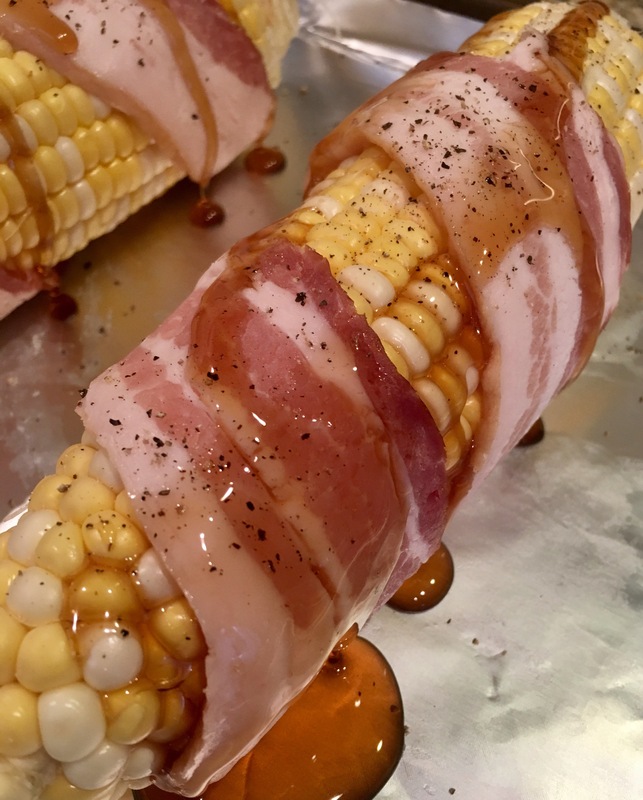 The thick bacon wouldn’t stay on the corn and I’m sure that the thin kind will work much better – but here’s the how-to for when I do get it right, so stay tuned!! Wrap bacon around (again, this will be better when I do it with thin bacon). Drizzle on some maple syrup and sprinkle some black pepper. Bake at 400 til the bacon gets crisp. I realized when I checked on them that the bacon was coming off, so I secured it with some toothpicks. Now go make your other stuff (I made salmon, again, so I figured I didn’t need to tell you how to make salmon since I just did a salmon write up). Let the bacon corn cook and get roasty. Even though the execution wasnt perfect in that the bacon didn’t stay on at all, the success was in the prospect of getting it right! A lesson, folks, in cooking – even if it’s not what you planned, it’ll still taste great if it’s got good ingredients to begin with. And you can’t go wrong with bacon, right?!? 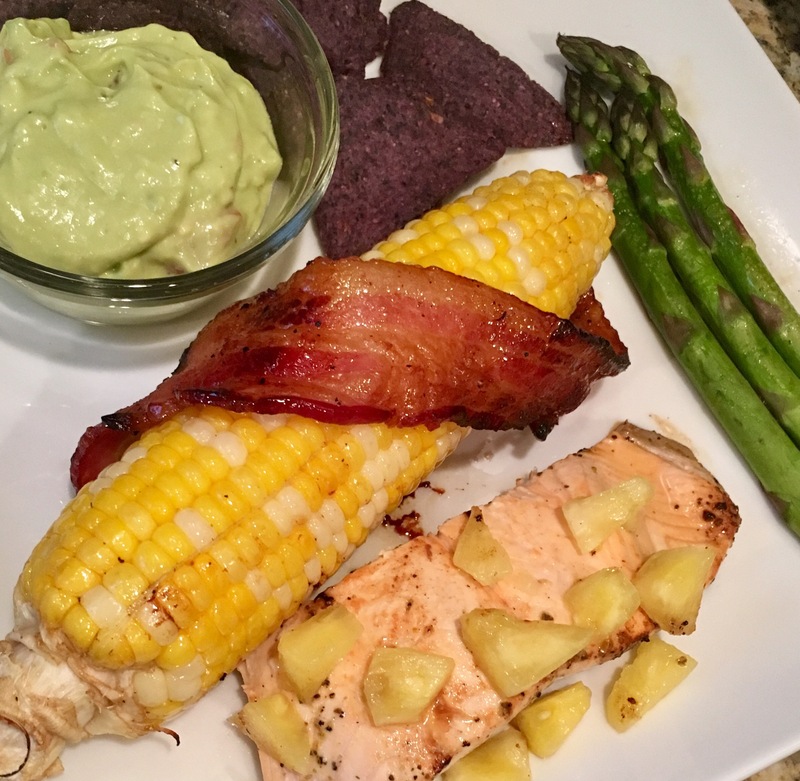 Final dish included salmon, asparagus, guacamole and some corn chips to go with the bacon corn. 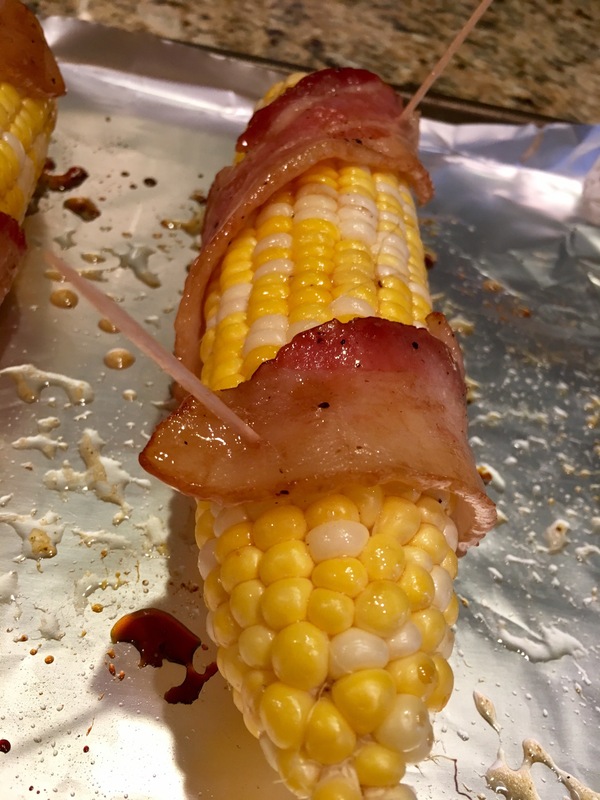 It all tasted amazing and no one minded that the bacon wasn’t firmly attached to the corn! !